This summer will be the priciest since 2014. Traveling for Memorial Day weekend? It's going to cost you. Political clashes and basic economics have worked together to drive up prices, AAA spokeswoman Jeanette Casselano told NBC News. "High global demand and shrinking global supply," said Casselano, along with "pending U.S. sanctions against Iran and Venezuela as well as OPEC cuts, and record U.S. oil production, are influencing higher crude oil prices in the market." That's sent prices spiking in recent weeks. 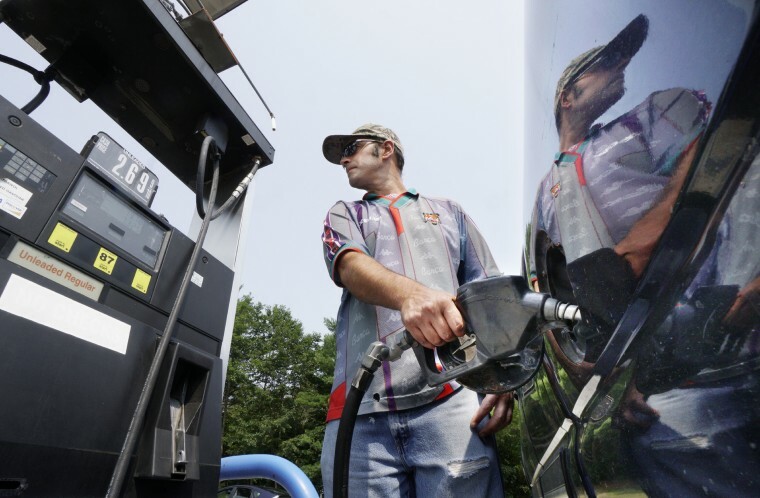 In New York City, one Mobil station at least briefly sold gas at $4.99 per gallon, according to reports. Other ways you can adjust your driving to save on gas include avoiding starting and stopping abruptly, easing your foot off the gas, and maintaining proper tire pressure and clean air filters. Use air conditioning, because modern car coolant systems are actually more fuel-efficient than the drag created by driving with the windows open. Gas price comparison apps can come in handy, and be sure to check them before crossing state lines as differing state taxes can cost or save you cash. The price impact won't stop at Memorial Day, either. "With refineries now well positioned for the summer months, we may see some relief in mid-June, but expect this summer to remain the priciest since 2014 with a strong likelihood of the national average hitting the psychological $3 per gallon barrier sometime this summer should we see any unexpected outages or geopolitical tensions flare," DeHaan wrote in a blog post.